Bola-bola ubi (sweet potato balls) is one of the popular mid-afternoon snacks in Jakarta. And surprisingly it's also very easy to make. 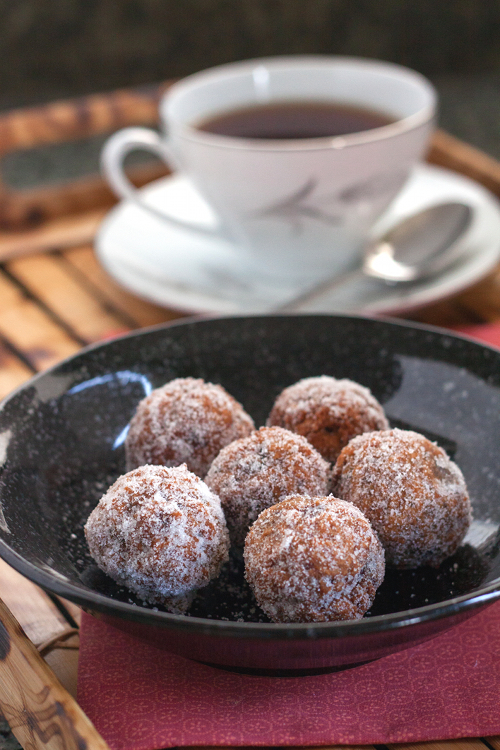 Last Monday, I was craving for these sweet balls and thinking about whipping up a batch when I realized that I didn't have sweet potatoes. 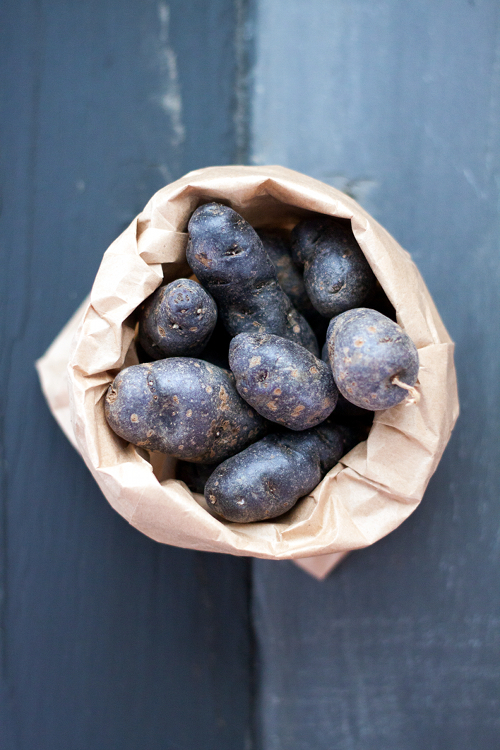 But I had some purple potatoes that J acquired from Berkeley Bowl last weekend. So I figured I'd give it try. And the result did not disappoint me. And, oh, it's totally gluten free! In a large mixing bowl, combine potatoes, tapioca flour, 1/3 cup of sugar, salt, baking powder, and vanilla until well mixed. If the dough is a little too hard, add a little bit of milk. Take a heaping tablespoon of dough and roll it into a small ball (about 1 1/2-inch in diameter). Repeat the process with the remaining ingredients. You should be able to get 20-24 balls. Place oil in a frying skillet, enough to cover at least 1-inch from the bottom of the skillet. Heat oil over medium heat until it reaches about 350 F. Fry potato balls in batches, 6-7 at a time, until well cooked and turn golden brown, about 3-5 minutes. Transfer to a plate lined with paper towel to absorb excess oil. Place 1/3 cup of sugar in a shallow bowl. 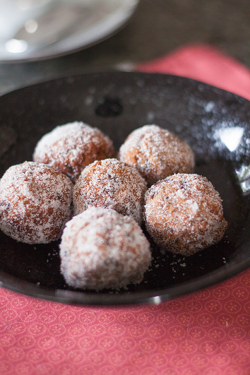 Roll potato balls in sugar until well covered. Transfer potato balls to serving plate and serve warm. 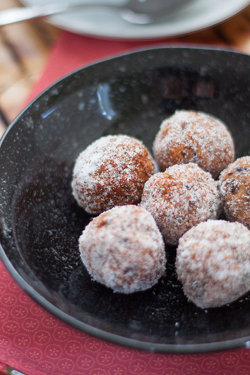 Bet these potato balls are very delicious and moreish! your bola2 ubi ungu is looks absolutely adorable!! !